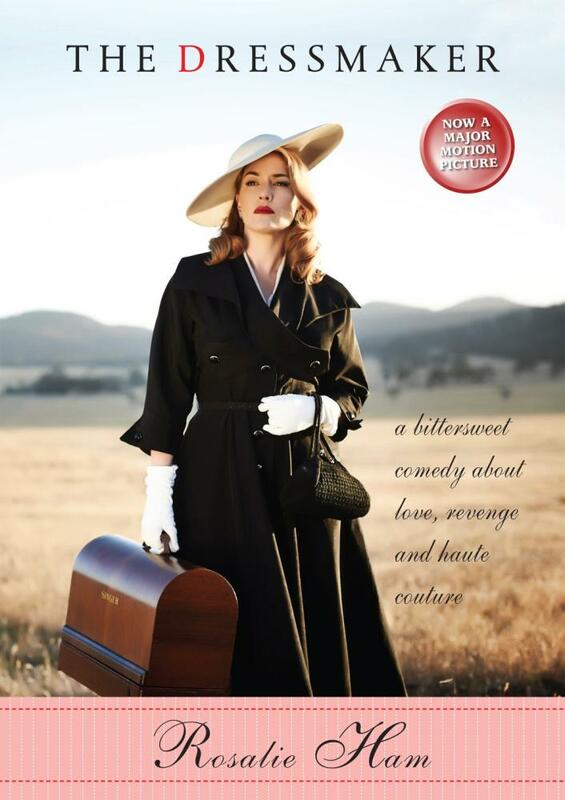 Today I saw the film ‘The Dressmaker’ and I loved it. Quite a few years ago I read Rosalie Ham’s book ‘The Dressmaker’ and I loved that too. So I couldn’t wait to see this depiction on the big screen. Of course, the characters were wonderful and played to amazing perfection by a brilliant cast and the costumes and clothing were stunning. The quirky small town of Dungatar captured the essence of many other small Australian towns only with a good dose of extreme imagination thrown in to create an edgy atmosphere. Nothing detracted from the central story line and that’s what I loved about this film, the book had the same impact when I read it. At a library talk a couple of years ago, I asked Rosalie Ham how she had developed her sense of humour that almost borders on bizarre? She responded by talking about the observations she made as a kid living in country towns. Well I can relate to that, growing up in a small country town does result in knowing stories that are passed along from family to family or group to group. They may be true, have some truth, fabricated or completely untrue. It also occurs to me that humorous and tragic stories get their fair share of repeating and therefore often suffer the most from differing versions and judgements. Country towns are good at this, hence they provide wonderful material for story writing. I remember when I first read ‘The Dressmaker’, some of my friends loved it but some quite disliked it. I suspect that the disliking may have been the bizarre edge that required a tolerance of the author ‘stretching the envelope’ just a bit. Maybe the movie has the advantage of a visual medium that utilises the bizarre bit by taking the best of the book and playing with the wonderful colourful characterisations. However, a pleasing aspect of this film for me, was to witness the exciting success of a writer who took her experiences from country Australia and weaved them into a fascinating if not quirky first novel. Seems to me, for a writer it must be the ultimate compliment to have your novel turned into film. Excited for Rosalie Ham, a wonderful Australian writer. This entry was posted in Education, Life, Music, People, Relationships, Uncategorized, Writing and tagged Australian life, Country towns, Dressmaking, Haute couture, Love, Revenge, Rumours, Secrets. Bookmark the permalink. I’m interested in the review. Thanks HM. I am one who didn’t like the book.The characters were caricatures. The movie may be well worth a look especially with all those ‘heavies’ on board. I missed the humour, pathos or whatever. I’ll give the book another look, however.